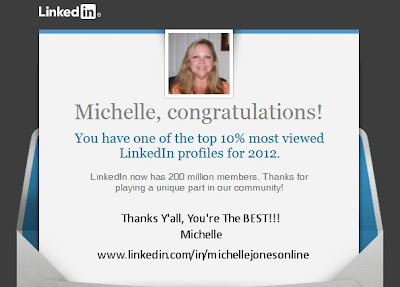 Michelle Jones Online: Top 10% at LinkedIn? THANK YOU! Top 10% at LinkedIn? THANK YOU! Me? In the Top 10% viewed LinkedIn profiles for 2012? Okay, you gotta admit, that is pretty COOL.